Does Valentine's Day make your hungry for chocolate? Or maybe something pink? 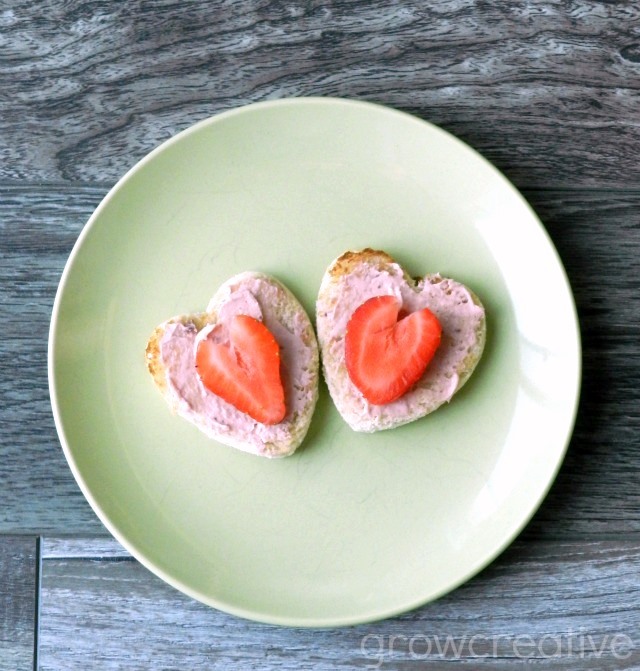 This year I experimented with toast, strawberry cream cheese, and strawberries- cut in the shape of hearts. 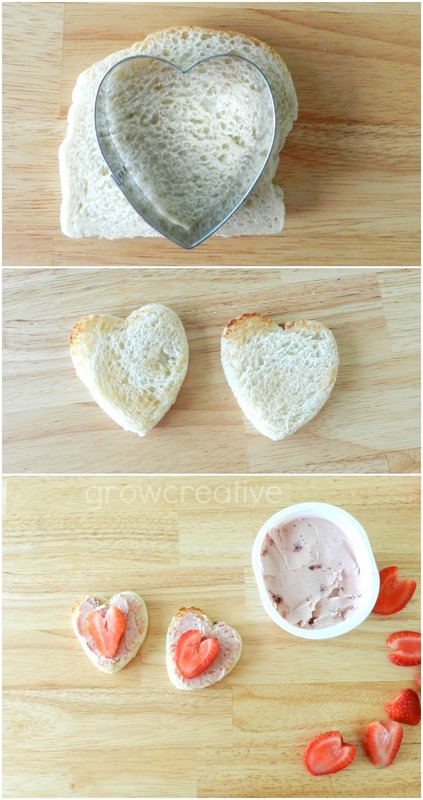 You can cut the hearts out before you toast the bread or after (either way works). And either way it tastes as good as it looks!